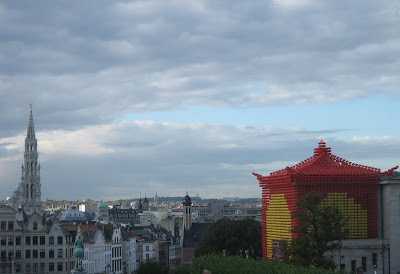 Artist Gu Wenda is exposing his Heavenly Lanterns - art work these days in Brussels, on the Mont Des Arts. 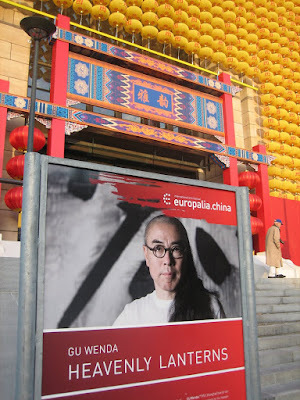 It's part of the europalia art festival on China. Eevery 2 years the Europalia festival celebrates the cultural heritage of a specific country and this year, obviously it's China. 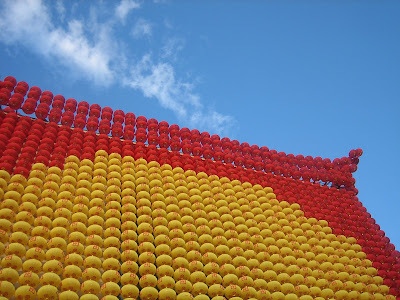 More than 5000 lampons cover the Bâtiment Dynastie. Defintely adds some color the city!